• Get on my mailing list. Because the workshops are so popular, we usually give our workshop alumni advance notice when a new workshop becomes available. The more popular workshops often fill just with our alumni, but if a workshop doesn’t fill then I’ll send an email to my general list. There is no separate workshop mailing list. There is only one list, which includes a subscription to my blog. You can sign up for the mailing list on the front page of this website. • Don’t hesitate! When I do send an email about a new workshop to my general list, the available spots usually fill very quickly. • Get on the waiting list. If you’re interested in a workshop, but it’s full, first read the workshop description and FAQ page carefully to make sure you have the experience and hiking ability required. Then email Claudia to sign up for the waiting list. Cancellations are common, and even if there are people ahead of you on the waiting list there’s always a chance you might get in – especially if it’s a last-minute cancellation, and people ahead of you on the list have made other plans. • Persistance pays, so keep trying. We hope to see you in a workshop sometime! I love teaching, sharing my knowledge of photography, and helping others express their photographic vision. I’m dedicated to making sure that every student who takes one of my workshops comes away with new skills, new inspiration, and new ideas about how they can express themselves through their photography. The world of digital photography can be complicated and confusing. There’s lots of conflicting information out there. I work hard to cut through the clutter and give students clear, simple advice that will help them improve their photography and better express their own unique view of the world through their photographs. It’s one thing to watch an instructor talk about finding the right exposure, or demonstrating a Photoshop or Lightroom technique. You may think you understand it—until you try it yourself. I think the best way to learn is by doing. In my workshops I make sure that every student has the opportunity to practice the techniques that I teach, with one-on-one help from me and my assistants. Many workshops talk about small class sizes, and then say they limit the number of students to 15, or even 20. I don’t consider 15 to the be a small class. 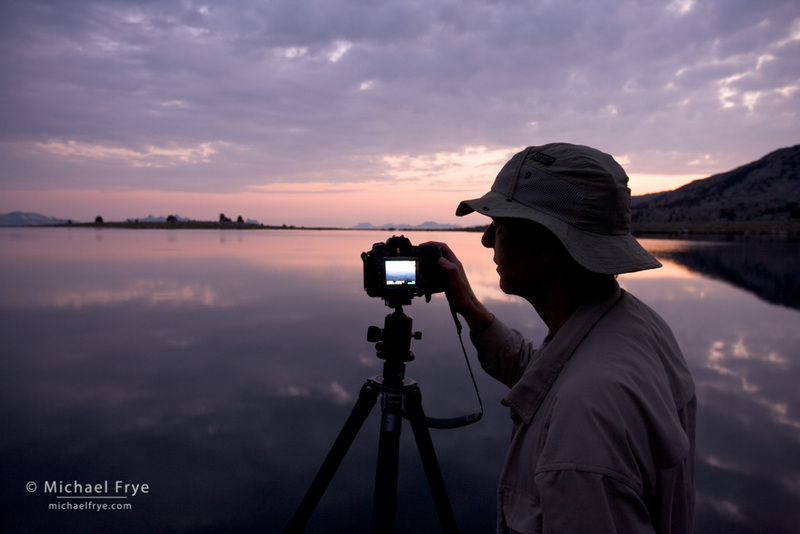 It’s impossible for an instructor to give fifteen people the personal attention and hands-on experience necessary to improve their technique and learn to make more creative photographs. I believe in truly small classes, and personal attention. The maximum number of students in my field workshops is twelve, and most have less. And classes with at least six students include a knowledgeable assistant to make sure that there is always someone available to answer questions.